MineralPRO drinking water systems make your tap water into safe healthy water, H2O for Life. The process starts by first removing contaminants in a multistage filtration process. Once this is done, the now clean water is run through a proprietary mineralization cartridge that uses healthy natural materials to add the right minerals back to the water. 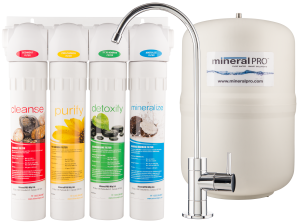 Minerals such as Calcium, Magnesium, Sodium and Potassium that were previously not present or removed as part of the water cleaning process are naturally absorbed into the water as it passes through the MineralPro mineralization process. This process adjusts the pH so that healthy alkaline drinking water is coming out your tap. 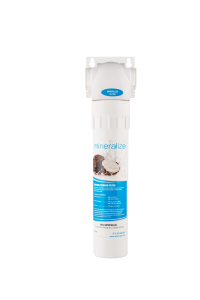 MineralPRO's industry leading 5-stage Reverse Osmosis (RO) Membrane is tested to provide the highest level of reduction of drinking water contaminants and balances the natural minerals to a healthy alkaline pH. Minerals balanced include calcium, magnesium, potassium, and sodium. The final stage is comprised of carbon made from Coconut husks, the purest form of carbon, this puts a final polish on the water and ensures a fresh, crisp taste! 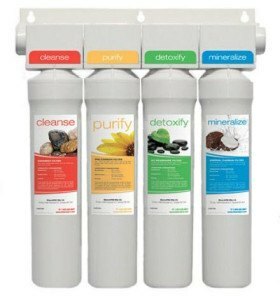 MineralPRO™ Reverse Osmosis System is the healthiest and best-tasting choice for those concerned with the unsafe quality and unpleasant taste of drinking water from tap sources and bottled water. 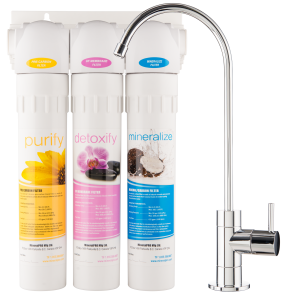 MineralPRO's Zero-Waste 4-stage Ultra Filtration (UF – Ultra Filtration) Water Filter System reduces common drinking water contaminants, replenishes natural minerals, balances the pH to a healthy alkaline level, and produces great tasting natural spring water quality.. There is extensive and ongoing research that shows that water with the right Alkalinity and Mineral Balance can provide significant benefit to one’s health. Drinking such water is believed to assist in the removal of toxins and has been shown in published studies to be associated with lower mortality rates from cancer and heart disease. All of MineralPRO’s drinking water systems are designed and built to ensure that you and your family receive the highest quality health drinking water for your everyday enjoyment and long term health. 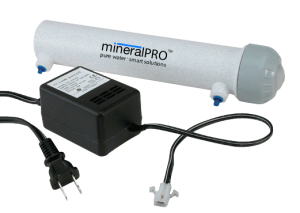 MineralPRO offer a variety of healthy drinking water systems that are designed to be easy to install, maintain and use and most importantly to provide you with the right amount of filtration and mineralization.